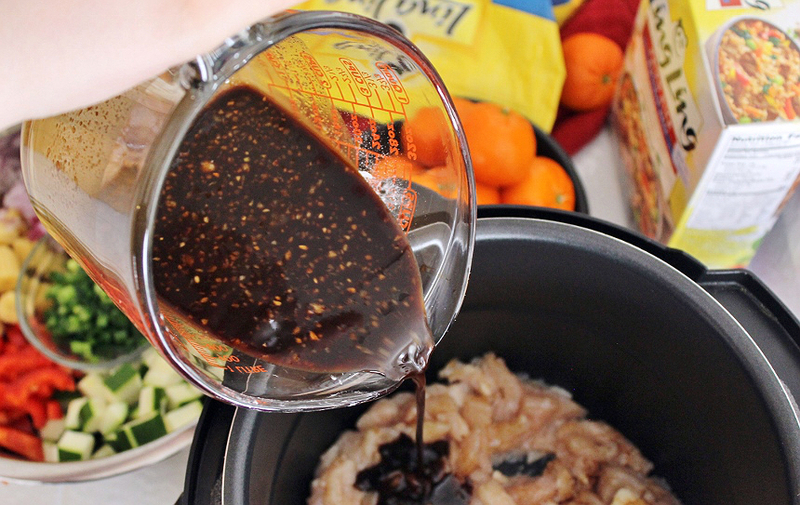 Momma Told Me: Celebrating Chinese New Year: Pressure Cooker Kung Pao Chicken Recipe + More! 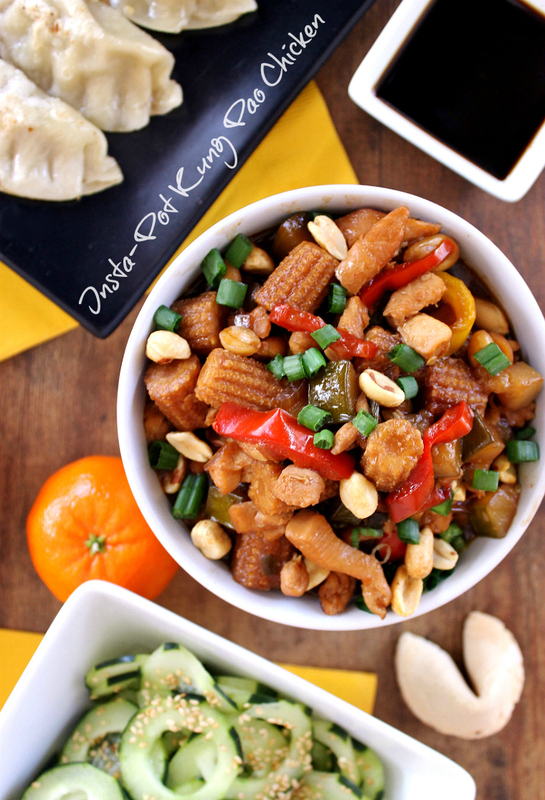 Celebrating Chinese New Year: Pressure Cooker Kung Pao Chicken Recipe + More! I recall once I had shark fin soup. At age 11 my parents moved from their humble 'starter home' condo into a brand new house on a legit street, with a real back yard, and a melting pot of neighbors. It was a bit of a culture shock for me, but everyone was quite welcoming from the Latino family 2 doors down to the Vietnamese family directly across, and the several generations of heritage Chinese-Americans living directly next door. As it was a new housing track, we all moved into the neighborhood at roughly the same time, so everyone was receiving and giving traditional welcome dishes. I recall out Chinese neighbors were the most welcoming of all. They quickly forged a bond with both my mother and father and began inviting my family over regularly for family meals and celebrations. The biggest, of course, was their annual Chinese New Year celebration, which seemed to go on for weeks in my young mind's perception. While there, indeed, would be a week of solid eating and celebrating, as well as deeply important traditions, the weekend would always bring one giant family gathering meal. This included the building of a roasting pit and the cooking of a whole pig over an open flame. More traditional cuisine was made from scratch indoors, as the buffet of food seemed endless and diverse from multiple styles of fried noodles and rice to the more exotic shark fin soup, Vietnamese inspired quail eggs, and hand rolled spring rolls. 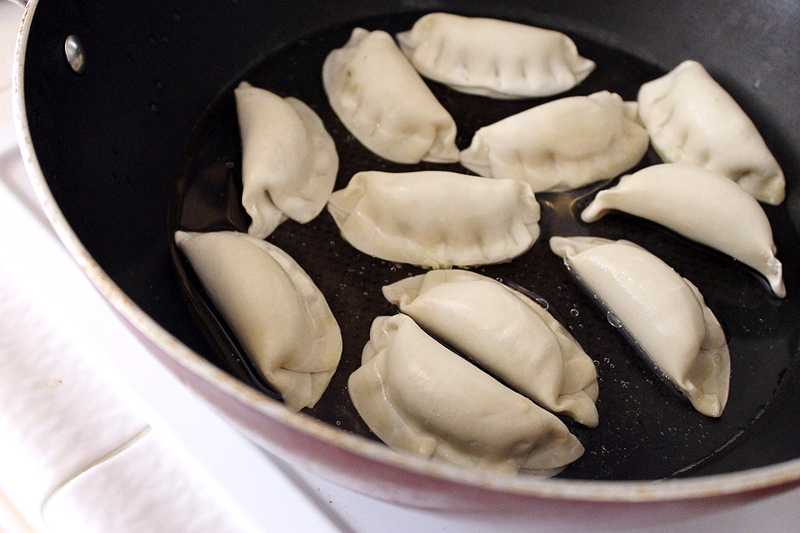 But one thing I remember quite vividly was the yellow bag of frozen Ling Ling Potstickers that always lined the kitchen counter next to the family's stove. 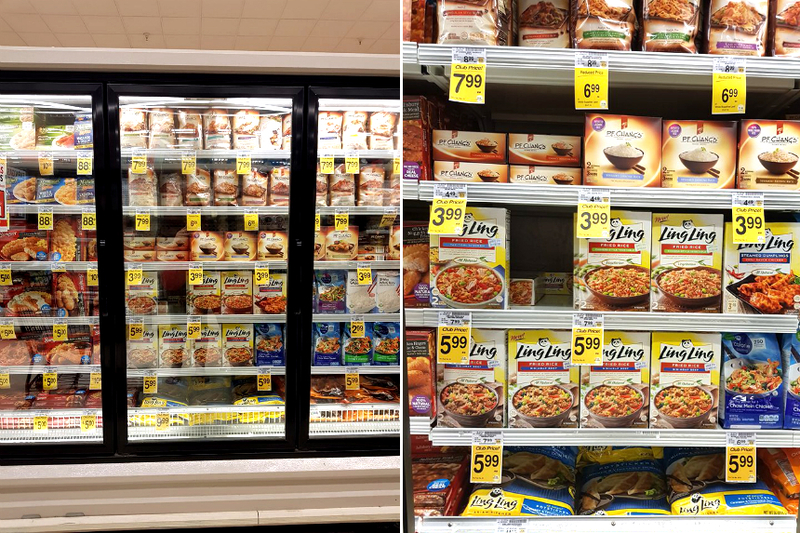 I recall once, around 15, feeling bold enough to question the seemingly odd presence of a store-bought dish among all this lovingly hand-made cuisine. Christine, the mother of the family, with a twinkle in her eye pressed her fingers to her lips as if to make a 'Shhhh' motion. "This is the only thing I don't have to worry about making from scratch, because they are as good as the real thing!" she explained. And she was right, not only did her family love them, my own family made Ling Ling Potstickers often at home, as well. 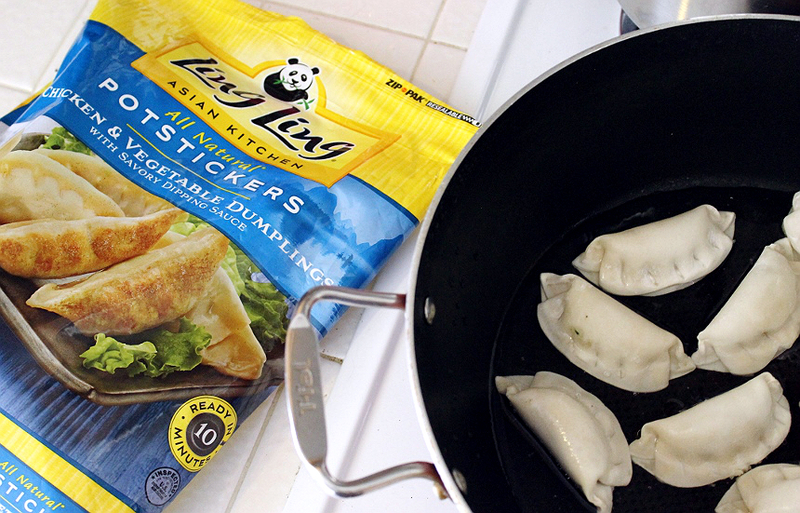 In fact, hosting a family meal every Chinese New Year isn't the only tradition my childhood neighbors impressed upon my present-day family, we keep a bag of Ling Ling frozen Chinese-cuisine Potstickers in our freezer at all times, too! Of course I don't claim to have a Chinese heritage, outside of the friendship forged with the amazing, quite large and extended, Le family- who still lives next door to my father this day. But I do have a rich appreciation for their traditions and customs which evokes fond memories and a (much smaller scale) celebration of my own. In general Chinese New Year is all about generating, and preserving, one's good fortune for the coming year. The delicious food and family/friends are just a benefit. Each year I try to observe some of the most important traditions I remember being taught by my neighbors, while serving a giant celebratory meal of my own. Christine used to, and still today, spend/s hours upon hours during an entire week preparing her handmade dishes and authentic cuisine for celebration. I don't quite have that time, so I like to feature a few simple, but delicious, traditional dishes such as a Sesame Cucumber Salad, marinated in sugar and rice vinegar. Not only is this dish affordable to whip up, it's pretty and simple to serve. 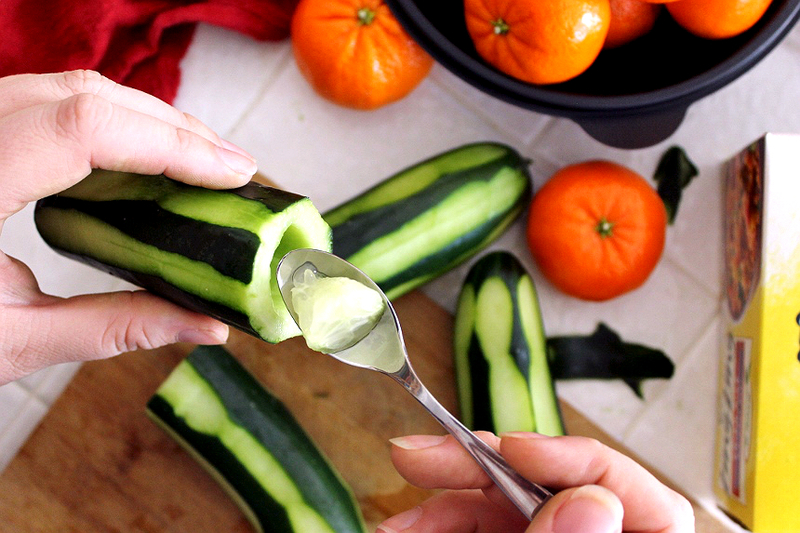 I was taught to core the cucumber seeds out before slicing, as well as peel alternating stripes off the cucumber's skin for saturation and aesthetics- two culinary additions that really help give this easy side dish some pop. 1. 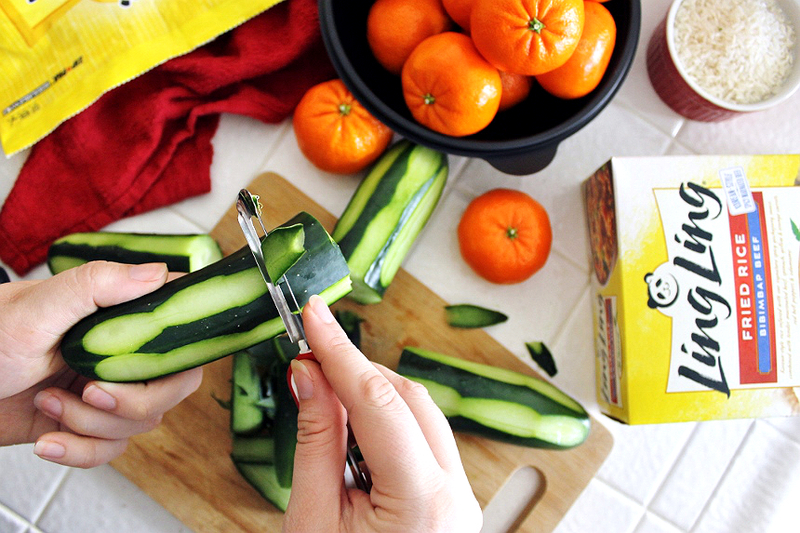 Cut cucumbers in half, width-wise. 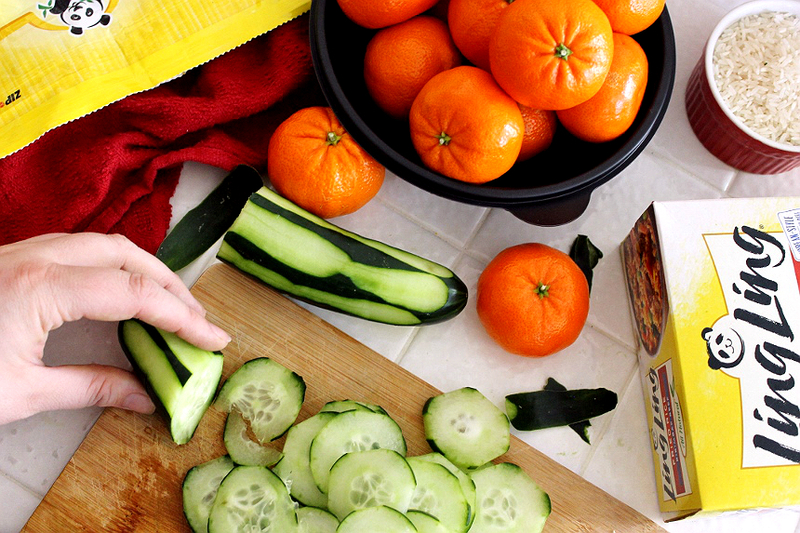 Peel cucumbers length-wise in alternating green stripes. 2. Gently core the seeds out with s small spoon (optional). 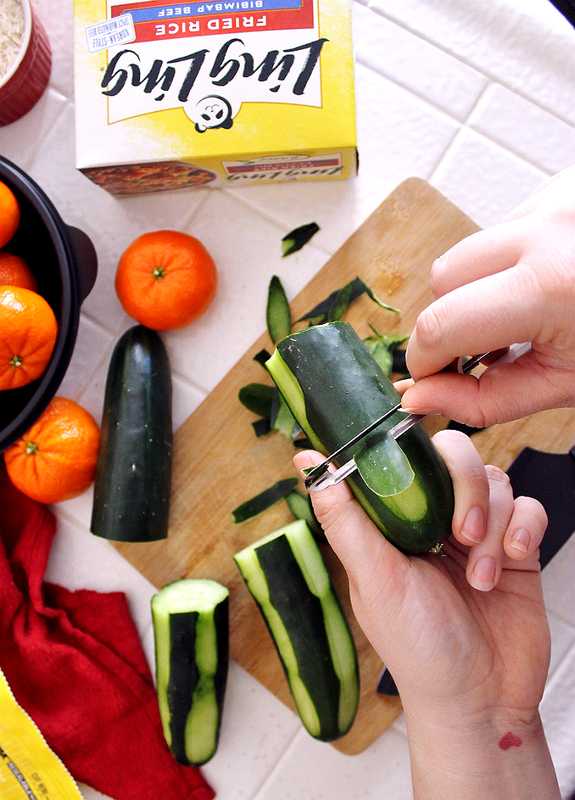 Using a sharp knife cut the cucumber into diagonal, thin, slices. 3. Place slices on a double-layered paper towel and place another double layered paper towel on top. Gently pat to remove excess moisture. 4. 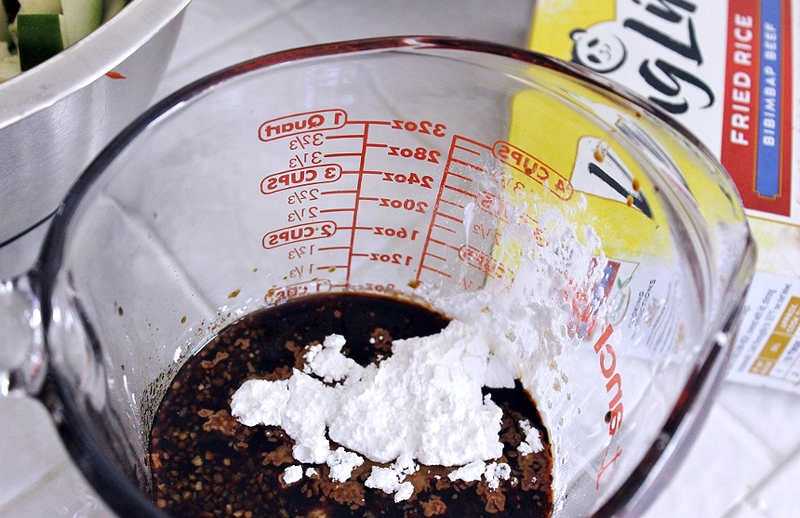 Combine vinegar, sugar, and salt in a medium bowl, stirring to dissolve. 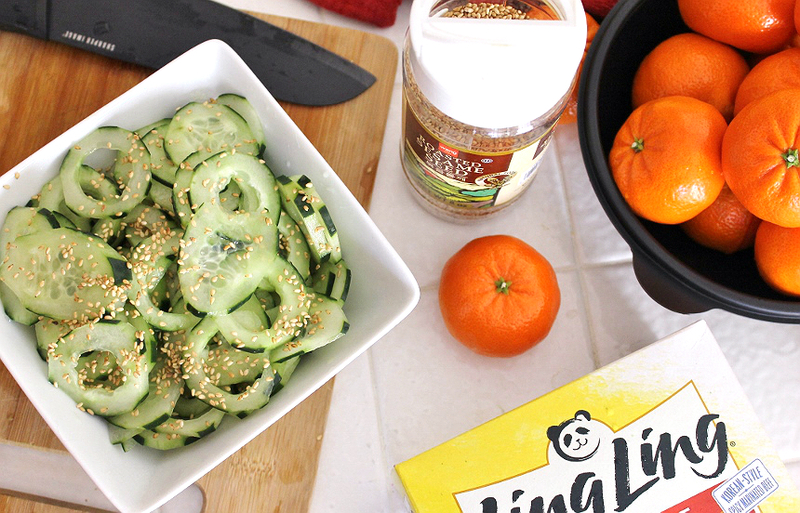 Add the cucumbers and sesame seeds and toss to combine. Let sit at room temperature for 30-40 minutes to allow dressing to soak in or serve immediately if desired. Ironically, Chinese New Year tradition dictates that the women of the house should not go out on New Year's Day, as it forebodes bad luck for the rest of the year- so all of that traditional celebrating should be well planned and prepared for in advance. This means you'll want to have plenty of Ling Ling entrees and appetizers on hand, you'll find a store locator here. 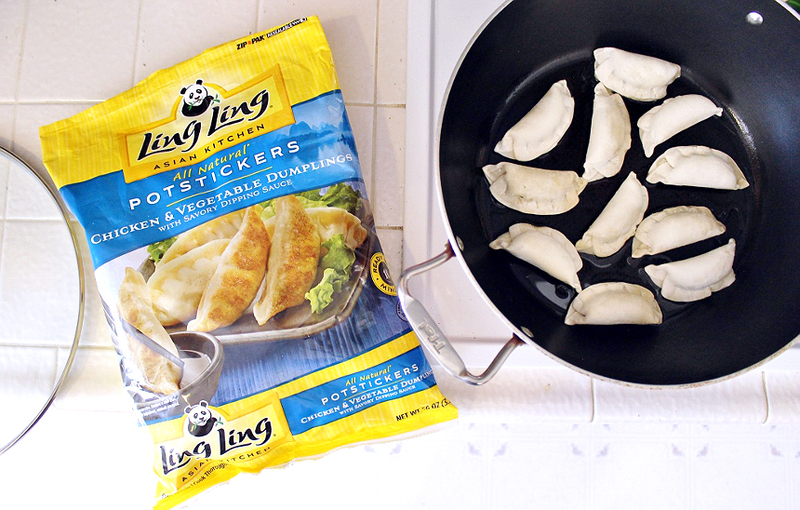 While you may already know, and use, Ling Ling's Potstickers, you may not know that they recently released a line of delicious fried rice options in 5 varieties such as Yakitori Chicken, Thai-Style Chicken, and Bibimbap Beef. 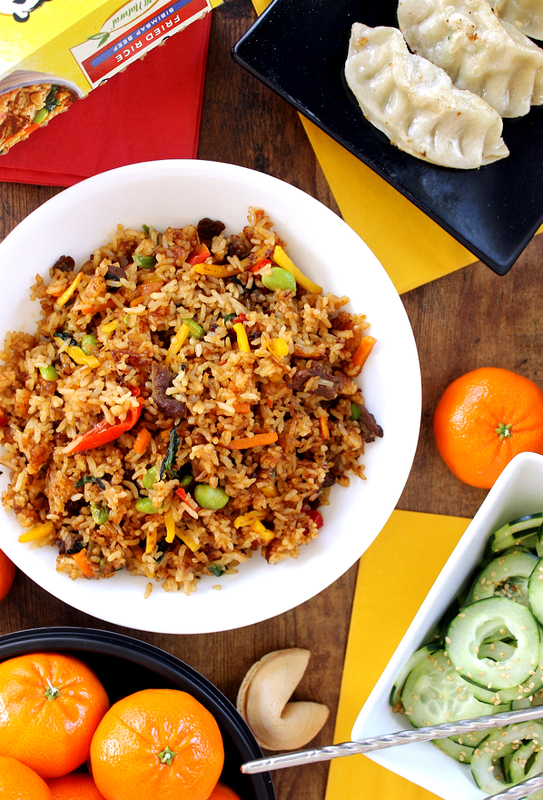 Each unique Fried Rice recipe is inspired by a different region and prepares quickly on the stove with rich flavors infused in every grain of rice. 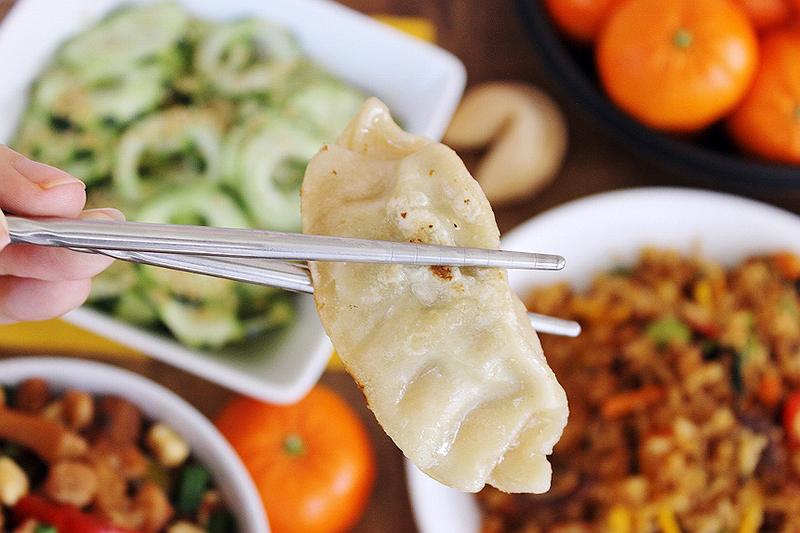 Serving Ling Ling favorites, such as Chicken Potstickers, and our new favorite, Bibimbap Beef, allows me to spend more time creating a unique feature recipe to truly make our Chinese New Year celebration a hit. 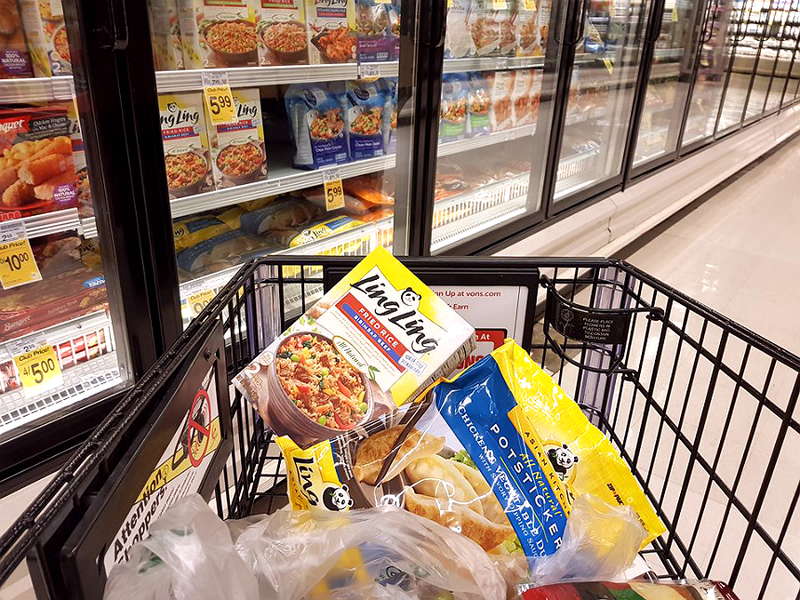 This year convenience and time has been a big theme for our family; we're in the middle of several major remodels and work around the house and property so much of my attention has been on the droves of workers storming in and out of the house. While I knew I wanted us to take a time out for a special family meal, I didn't have a lot of time to spend a weekend preparing one. As a result I decided to be brave and try a variation of a pressure cooker recipe I'd been itching to give a go, kung pao chicken. 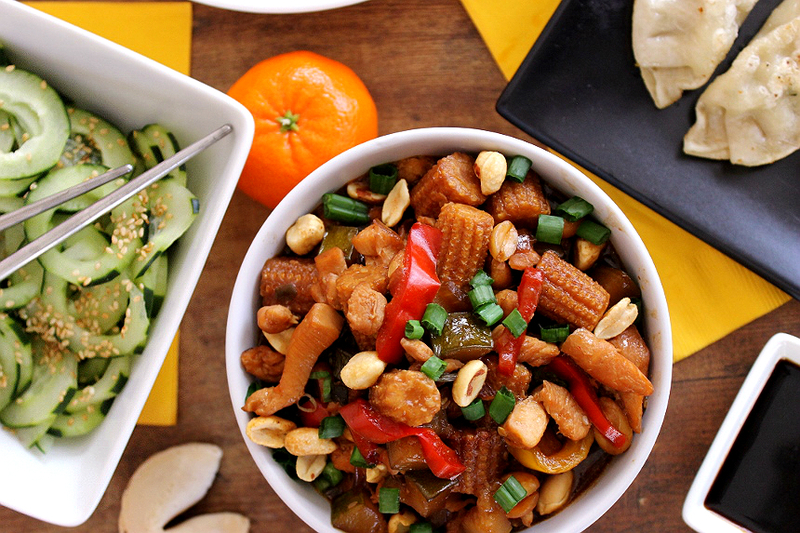 I chose Kung Pao chicken because it features an assortment of fresh vegetables that reminded me of a traditional Chinese New Year dish I used to enjoy at our neighbor's house, Fortune Salad. 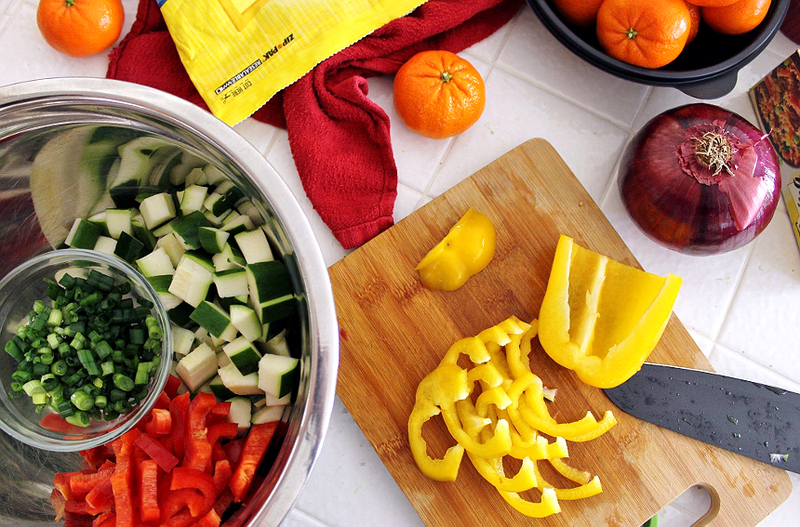 While you can add even more fresh ingredients (try mushrooms!) 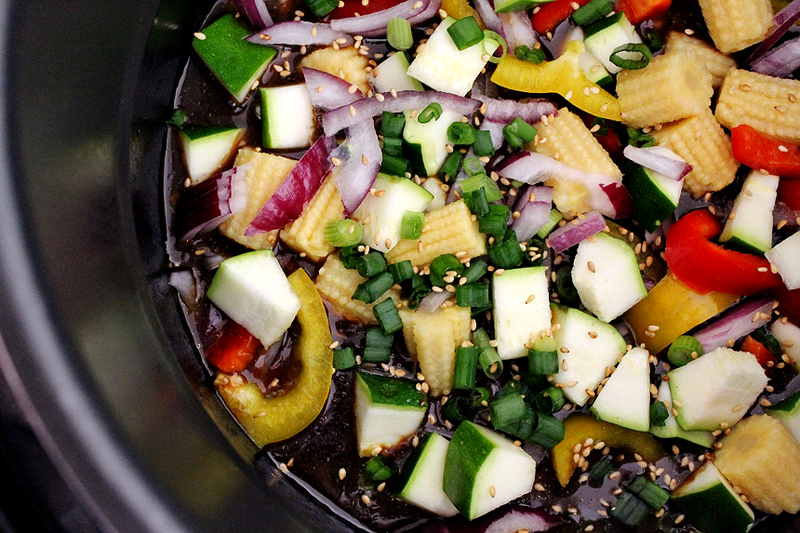 the base recipe calls for peppers, baby corn, zucchini, red onions, and peanuts. I was a bit skeptical of making a traditional Chinese dish in a pressure cooker, but was actually quite impressed with how it turned out- I even substituted the chili paste with Sriracha (which was what I had on hand). This entire Insta-Pot/Pressure Cooker process takes less than 10 minutes, across 2 cook sessions, and has about another 10 minutes of ingredient prep. 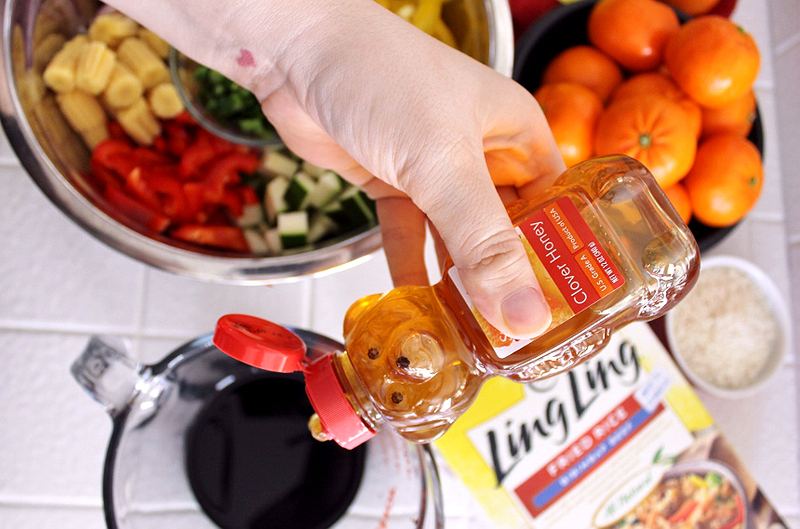 It's a recipe that times perfectly with a pan of Ling Ling Potstickers and 1 Box of Ling Ling Fried Rice on the stove. 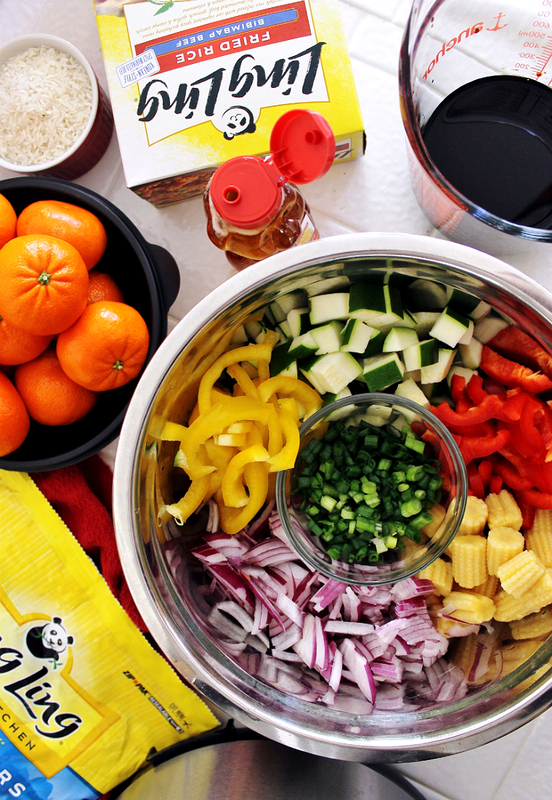 The end result is a 4 course Chinese New Year Meal in about 30 minutes, minus clean-up. I almost feel guilty putting this spread together knowing Christine will be meticulously cooking from scratch all week to feed her family. 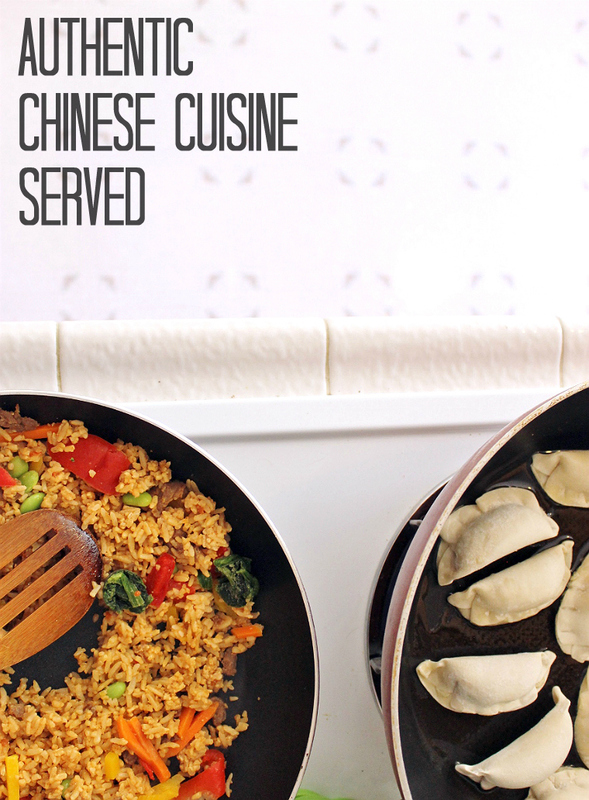 One of my favorite things about pairing a pressure cooker entree recipe with our Ling Ling Fried Rice and Potstickers is the rich flavorful sauce of this Kung Pao dish. 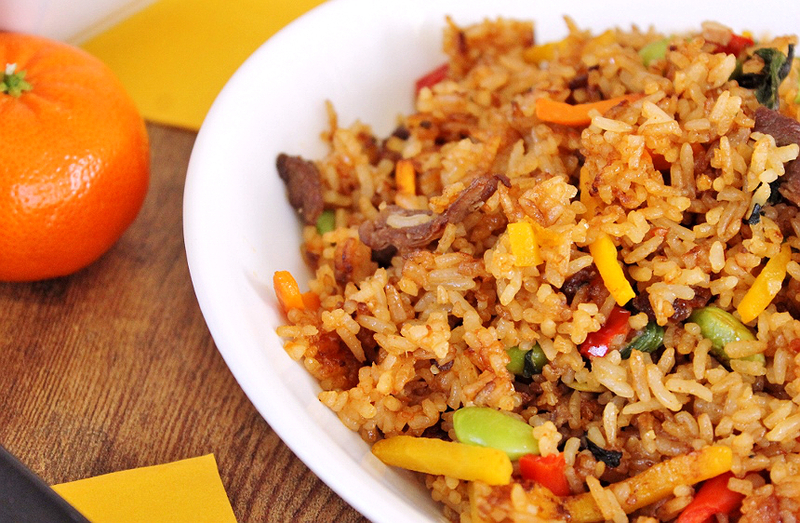 It perfectly compliments the hearty Bibimbap Fried Rice brimming with edamame, yellow and orange carrots, bell peppers, beef, and spinach and it's savory gochujang sauce. 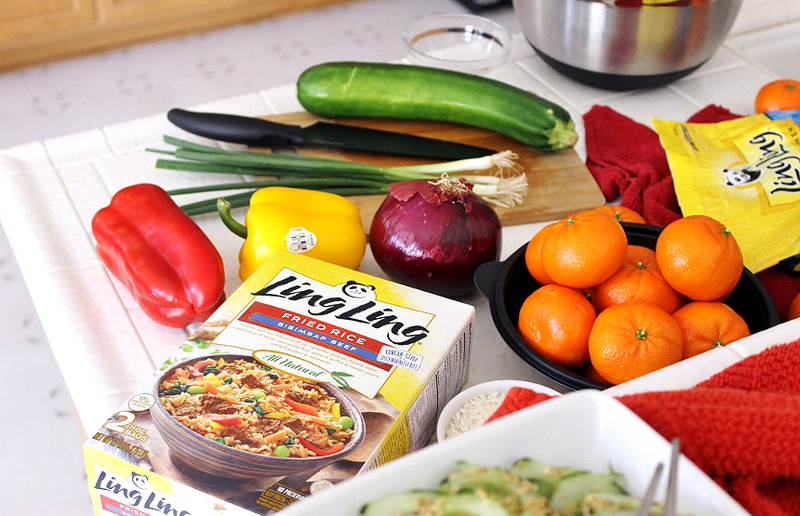 Making fried rice from scratch typically takes me hours so Ling Ling Fried Rice entrees are not only a time-saver, but a flavorful hit in our family. 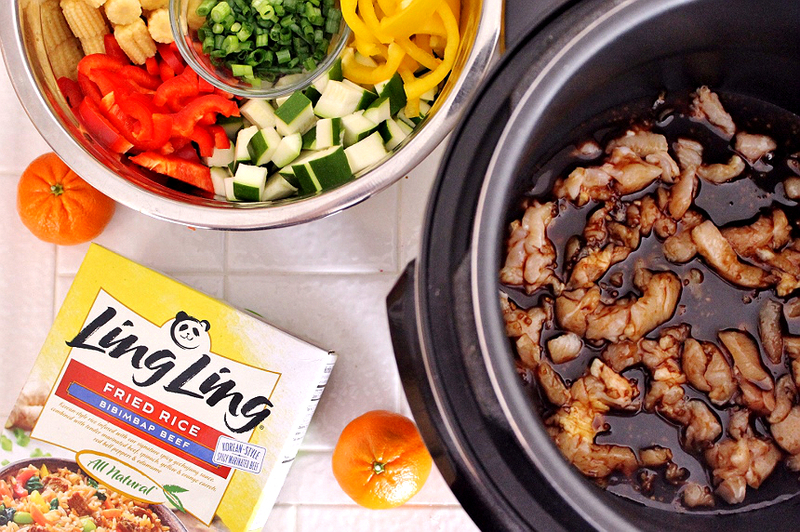 Preparing our favorite Ling Ling Fried Rice entree for Chinese New Year, or any meal, is as easy as heating a pan coated in oil, adding the rice, and allowing it to cook, covered for a short period of time. I like to remove the lid just towards the end and really 'fry' the rice with some hearty tossing for 2 minutes to get some nice brown edges on those flavorful grains. While my Pressure Cooker Kung Pao is pressurizing and my Ling Ling Fried Rice is cooking I also heat up my wok with some oil and a shallow layer of water. Next I place my frozen Ling Ling Chicken Potstickers, flat side down, in the pan, side-by-side and cover to cook for about 8 mins. Finishing the potstickers with a nice golden brown edge simply requires removing the lid and cooking the potstickers an additional 2-3 minutes, or until all of the liquid has absorbed. Ling Ling even includes a few pre-portioned savory dipping sauce packets in each re-sealable bag so I don't have to worry about that, either! I'll admit, I feel quite proud of myself when I pull off a meal as diverse and flavorful as this with so little effort. Sure, it feels like cheating, but it tastes like hours of effort. I especially love how the rich authentic flavors shine in my Ling Ling entree choices. We always plate our Chinese New Year dishes buffet style, with each entree and side on large plates, bounding with portions. Everyone grabs their own plate and chopsticks and serves up their favorites directly from the family style presentation. It's a great way to get everyone gathered around the table and interacting with one another. Of course, during Chinese New Year, we always have a giant bowl of fresh mandarins to greet family and guests alike, as it is said to bring good luck to both the giver and the recipient. 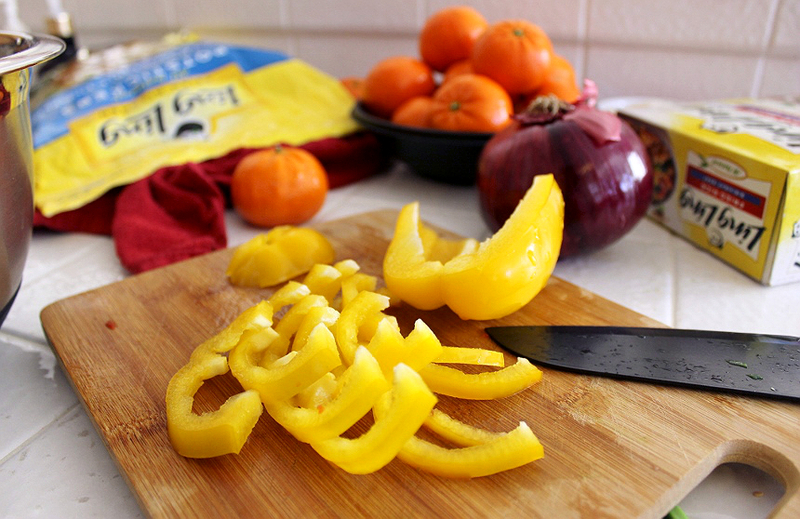 Mandarins are also the perfect way to wrap such a hearty and flavorful meal! Chinese New Year has a sentimental value in our family thanks to traditions shared by my childhood neighbors, but all of these dishes are ones my family enjoys throughout the year. 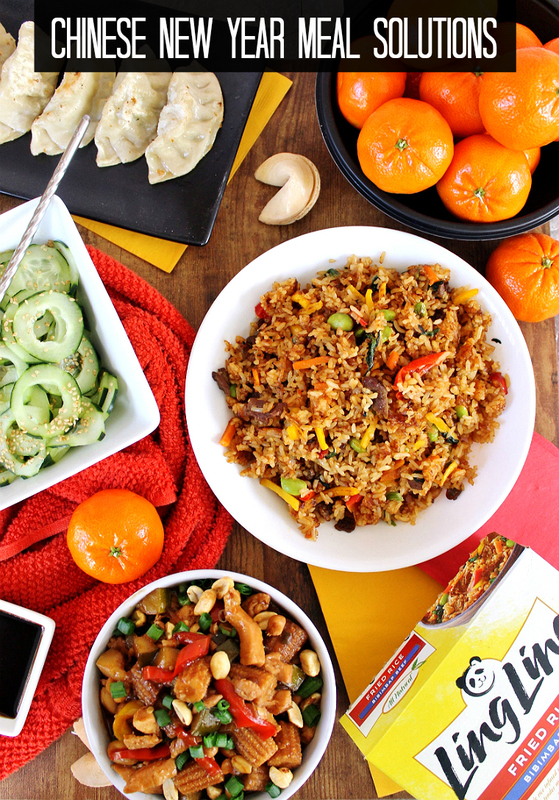 Find your favorite Ling Ling Asian inspired entrees and side dishes at a store near you, or discover new Ling Ling entrees that are sure to become favorites, this Chinese New Year. Now, tell me, does your family have a Chinese New Year tradition? 1. 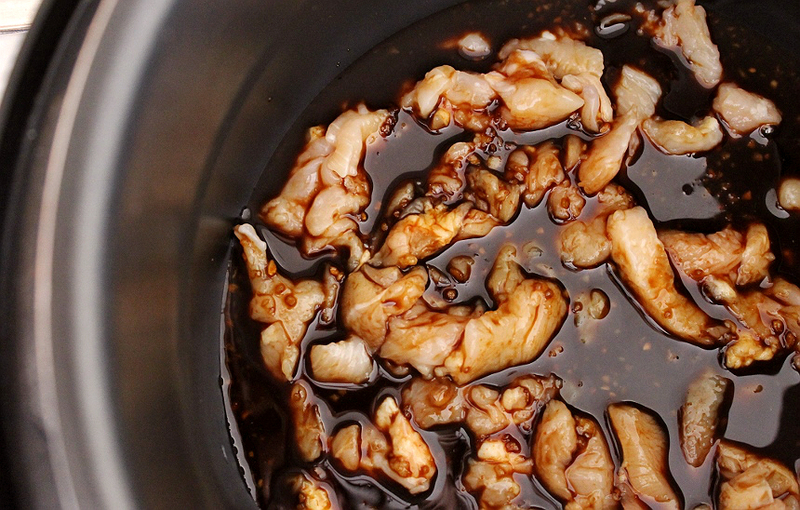 In a medium bowl combine soy sauce, honey, chili paste, brown sugar, garlic and cornstarch, adding the cornstarch last. Add chicken, and 1 cup water, combining. Pour chicken mixture and all mixed fluid into your pressure cooker pot. 2. Close lid and seal pressure vent. Cook on High Pressure for 5 MINS. 3. 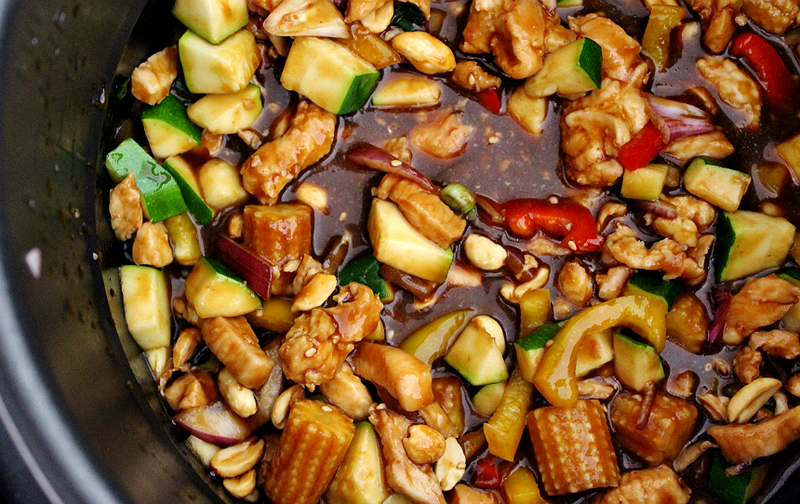 Quick release pressure/vent your cooker, then add all vegetables, peanuts, and half sesame seeds. Seal, with vent closed, for an additional 4 MINS on HIGH. 4. Quick release/vent, and serve over your favorite Ling Ling Fried Rice, topped with remaining sesame seeds. This dish sounds so good! It's awesome that the potstickers are just as good as homemade ones. 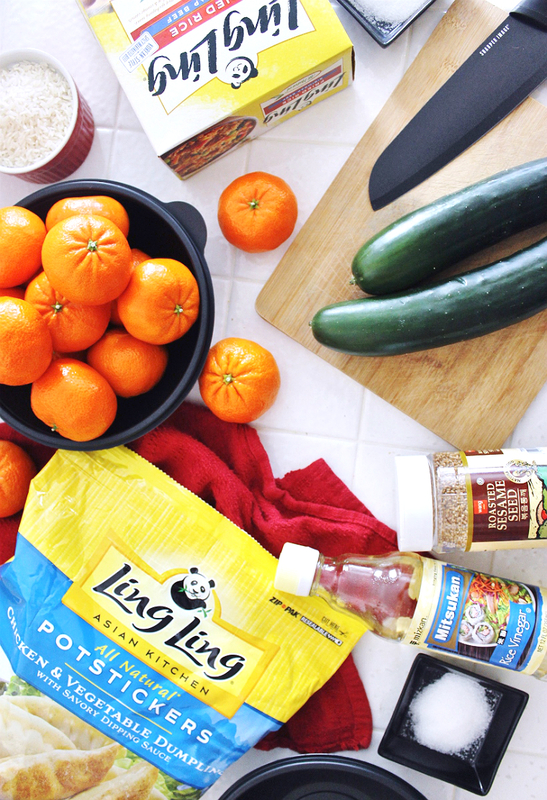 I have always wanted to try LingLing products but still haven't gotten around to it! I absolutely love potstickers but am not the best at making them - LingLing would be a great solution for that! We love Chinese food! These recipes look easy enough (not to mention delicious!) to try at home. 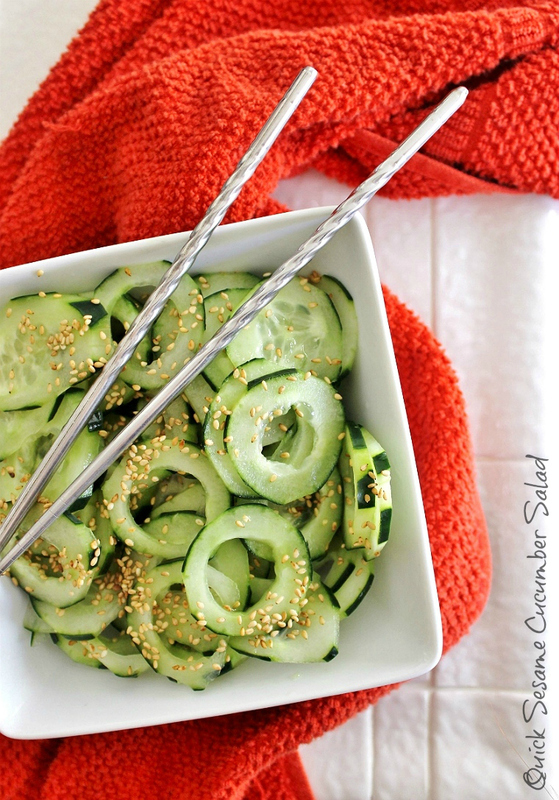 Can't wait to try the sesame cucumber salad. This looks so amazing! I love having Chinese food. It's one of my favorites. I just love Ling Ling rice too! 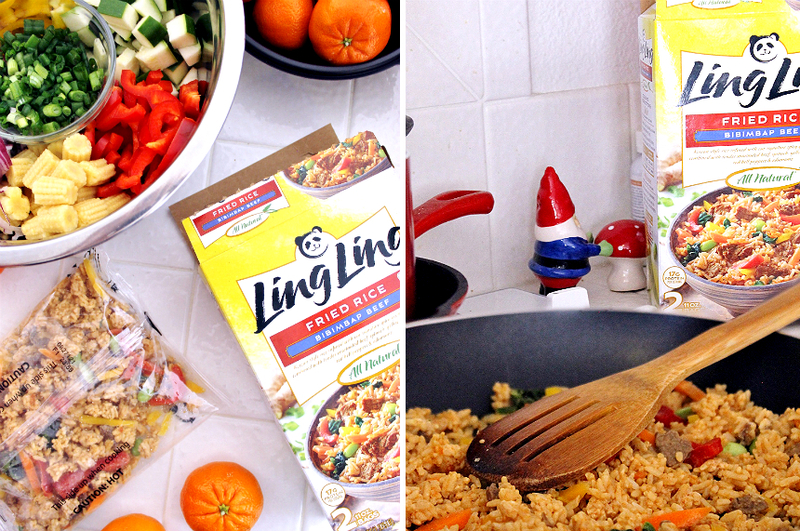 I haven't tried Ling Ling Rice yet, but I love fried rice! Your recipes look amazing - I'm always looking for a new dish that the family will love. Oh my YUM!! Everything looks delicious! I've so much about Ling Ling. I can't wait to give it all a go! These are really great choices! I would love to try all these! My kids can be a little picky when it comes to mealtime. Thankfully, Chinese food is one we can all agree on. These meals look so yummy and quick to prepare! This is awesome. It looks really delicious. I am going to have to try this out sometime soon.